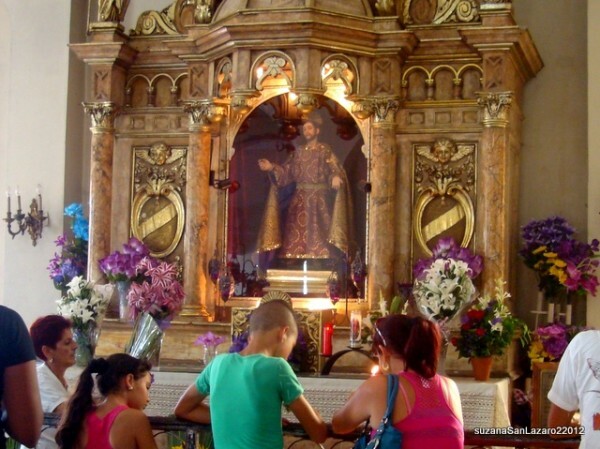 Catholicism came to Cuba with the original Spanish Conquistadors in the 16th century and despite efforts to ban religions of all kinds following the revolution of 1959, it remains outwardly the dominant religion of the day. The churches have all reopened and been repaired, the pope has visited twice giving Cubans his blessing, and people are able to freely practice their chosen religion without fear of persecution. “Santaria” is the name given to the Cuban form of the African religions brought over with the slaves from West Africa. Cuban life is steeped in the beliefs of Santaria which has always managed to survive underground practiced by people in the worst conditions imaginable who gained from it their strength to survive. 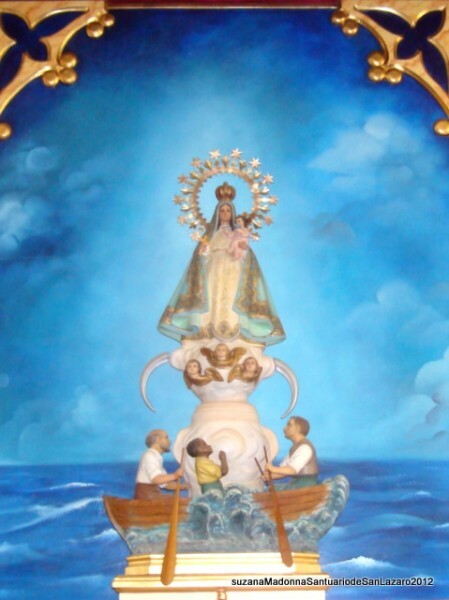 Although it is now recognised as a religion in its own right and openly practised it is so ingrained into the beliefs and culture of the island that it adopts and transforms the Catholic saints and embodies them with its own deities, and vice versa in a sort of symbiotic relationship!! 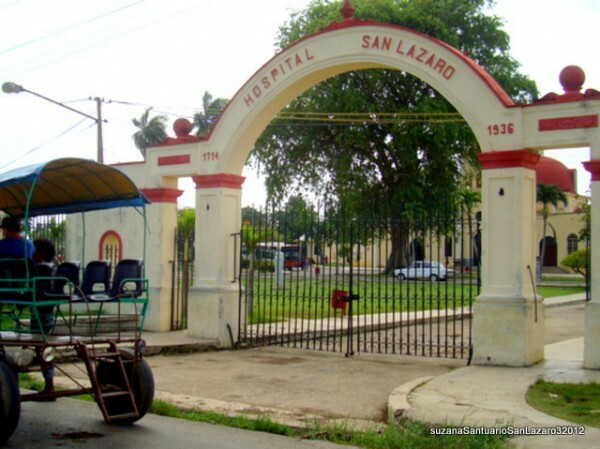 The saint most celebrated in Cuba is San Lazaro! He was the poorest of the poor. He ate the scraps from under the tables and even the dogs licked his sores, so the stories tell us. He was famously raised from the dead by Jesus and himself became a saint. Who can not feel sorry for San Lazaro? 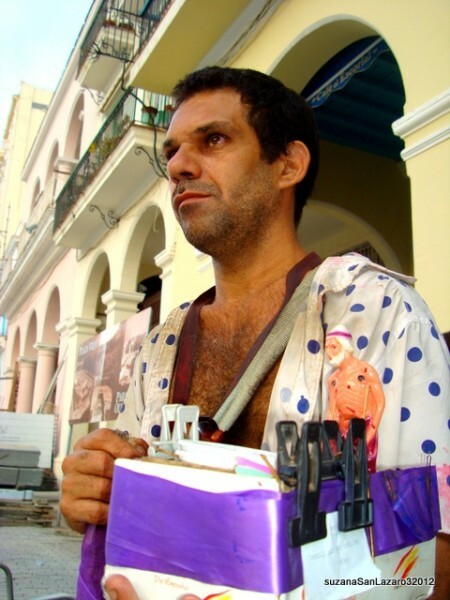 He is the saint for whom so many Cubans feel a great sense of empathy. December 17th is his saint day and the preceding day, December 16th, is the day of peregrination. 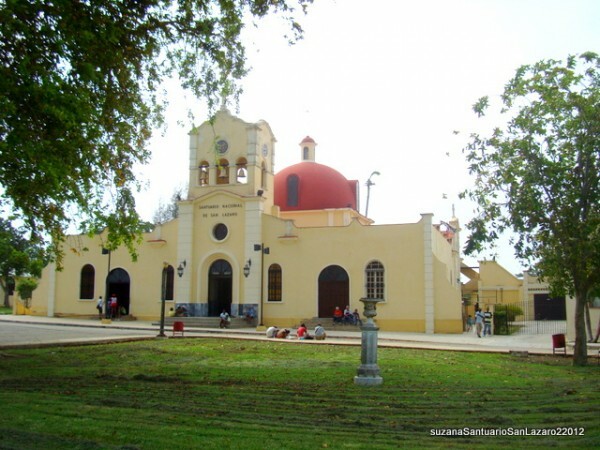 The devotees begin their dedications and demonstrations of self sacrifice in Santiago de las Vegas and culminate their 5 to 6 kilometre journey at the Sanctuary of his name adjacent to and in the grounds of the old Hospital on the out skirts of El Rincon, a suburb of Havana. They are a conspicuous procession, dressed in dirty old clothes or tunics made from old sacks for the occasion. Barefoot or with special rope shoes if not on their knees, some even spread-eagle themselves on the ground face down on the earth. They might carry wooden crosses or other burdens and slowly painfully make their procession to the feet of their saint. On reaching the Sanctuary they make their pledges and promises in return for cures received or hoped for, for themselves, for relatives or friends. 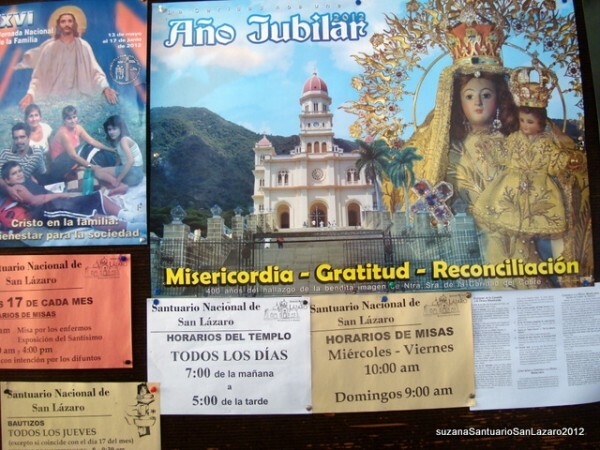 Many also renew their promises to fulfil pre existing devotional pacts with San Lazaro for favours done and cures received. On the streets of Havana there are many devotees who walk the streets carrying small statues of San Lazaro and collecting money for Cuba’s favourite saint! Join us on one of our tours!